First - some declarations: I was awarded a 2:1 B.A. (Mod) degree by the University of Dublin, Trinity College, in 1983. I am also a Lecturer in a third level institution in Ireland that is not one of the seven Universities. All views expressed here are my own and do not represent those of any education institution. I do not know, nor have I ever met Paddy Cosgrave. Paddy Cosgrave, founder of the successful Dublin Web Summit and board member of the Higher Education Authority, certainly knows how to get up the noses of academics and the people who work in the third-level sector in Irish education. The Irish Times reported last Thursday (8th May), in an article entitled Is a Trinity degree worth more? Tech entrepreneur hits a nerve, that Cosgrave will only "recruit graduates who got a 2.1 degree from TCD or a first-class honours degree from the other six universities here", and he is also quoted as saying "a 2.1 in one university would not equate to a 2.1 in another university". Much of the social media storm surrounding Cosgrave and his comments comes from his interview with Pat Kenny on Newstalk Radio. The full interview can be heard here - the second half of the interview is the most relevant to this story. I listened to it in full, and advise others to do the same to hear the remarks in context before jumping on any beat up Paddy Cosgrave band-wagon. *These application requirements only apply to applicants for internship positions. At least their bias is declared up front and should reduce the "huge volume of CVs" (quote from Newstalk Interview) that the Web Summit gets from Internship applicants. It is a sobering thought that graduates from my own College (winner of the 2014 HECS Gradireland Gold Award for Employability) who have been placed in internship and full time positions in leading companies like Amazon, Microsoft, Accenture, Intel, SAP, HEAnet, and Google - are not welcomed or wanted by the Web Summit. Cosgrave has a particular beef about grade inflation - in the Newstalk interview he says that the "awarding of 1st class honours in Maynooth increased 900% in 20 years despite no obvious increase in education standards". Quite an insult to the staff of NUI Maynooth I think you'll agree, and he did not cite any evidence for the lack of increase in education standards in the interview. So - what are we to make of all this? 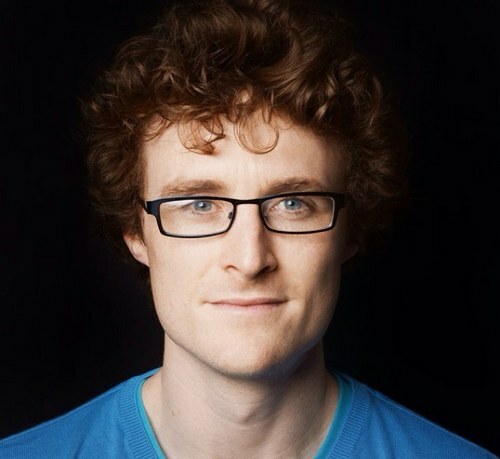 Paddy Cosgrave is entitled to his opinion just like the rest of us. He moved yesterday in a blog post "We Even Hire Pirates" to defend his position by stating that the outrageous (my word) requirements do not apply to their full time position, but that the "incredibly tough, incredibly crude and incredibly blunt requirements" for interns remains. Perhaps there is a tacit admission at the end of his post that maybe he went a bit too far with his comments and that he should "tread more carefully going forward". At least we agree on something.